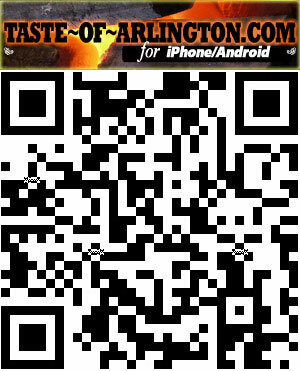 Smashburger coming September 14, 2011 to 115 West Rand Road in Arlington Heights. Smashburger, the nations’ fastest growing “better burger” restaurant, is set to open its seventh Chicagoland location on Wednesday, September 14, 2011. The restaurant will open in Arlington Heights at 115 W. Rand Road and brings their signature smashed-to-order burgers, Haagen-Dazs shakes, tempting sides and regional menu items crafted to please Chicagoans’ palates, to this north Chicago suburb. In Chicago, guests can enjoy the signature Windy City Smashburger, which is a 100 percent Certified Angus Beef burger, topped with layers of melted cheese, haystack onions, lettuce, tomato, and Gulden’s® mustard on an artisan pretzel bun. Chicagoans can also enjoy other menu items made especially for their taste buds including Johnsonville® Polish Sausage, topped with grilled onions, American cheese and Gulden’s® mustard as well as the Chicago Smashdog that features yellow mustard, pickles, short peppers, tomatoes, sweet relish and onions. Named for the cooking method used to create delicious burgers, a Smashburger is 100-percent—fresh, never frozen, Certified Angus Beef smashed on a flat grill to sear in the juicy flavor. To further the “better burger” experience, every Smashburger is served on a butter toasted artisan bun and topped with a selection of real cheeses, the freshest produce, and top-quality condiments. In addition to burgers, customers can enjoy a selection of grilled or crispy chicken sandwiches, grilled and split hot dogs, and signature salads, along with a variety of irresistible sides including rosemary and garlic–seasoned Smashfries, fried pickles, Haystack Onions, and Veggie Frites (flash-fried asparagus spears, carrot sticks and green beans). The restaurant will also serve a selection of alcoholic and non-alcoholic beverages including local beers, wine, hand-spun Häagen-Dazs shakes and IBC® root-beer floats in frosted mugs. 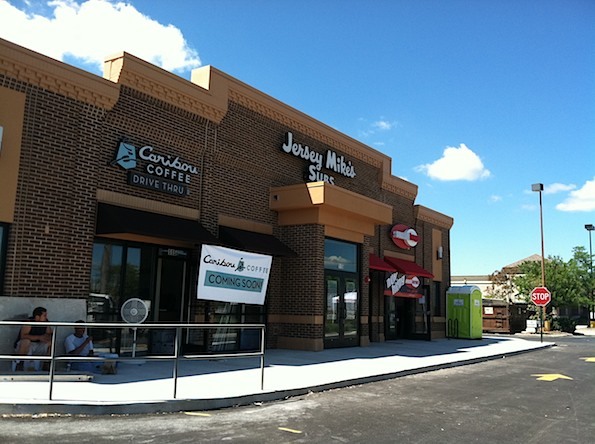 Remodel of former Lone Star Steakhouse building: Soon to be new food attraction with Caribou Coffee, Jersey Mike’s and Smashburger (photo mid-August 2011). Smashburger is the country’s fastest growing, fast casual “better burger” restaurant. Its hand-crafted burgers are made with fresh, never frozen, 100% Certified Angus Beef, that are “smashed”, seared and seasoned on the grill to juicy perfection for every individual order. Guests can create their own burger masterpiece or enjoy one Smashburger’s innovative signature recipes– including a unique burger for every local market that highlights the distinctive flavors of that region. Smashburger also serves tender marinated grilled or crispy chicken sandwiches, grilled and split hot dogs, freshly prepared salads, handspun Häagen-Daz shakes and an array of signature sides. Developed and owned by private equity firm Consumer Capital Partners (CCP), Smashburger operates and develops both corporate and multi-unit franchise territories across the country with 117 restaurants nationwide. With the commitment from its franchise partners to build 463 units, Smashburger is on target to have 500 plus stores in the next few years. 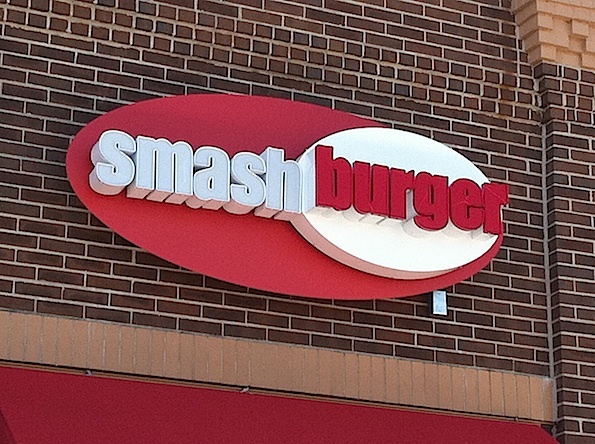 Smashburger was also the recipient of the International Council of Shopping Centers 2011 Hot Retailer Award. To learn more, visit www.smashburger.com.